Mike Doering attended Lutheran High School South in St. Louis before heading off to Concordia University, Nebraska to play baseball and receive his Bachelor’s in Education in 2004. He is proud to have attended a Lutheran school from Pre-K to Master’s degree. In 2005, Mike Doering accepted the call to be Social Studies teacher for Concordia. Since then, “Mr. 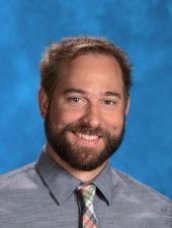 D.” has taught World Geography, World History, US History, AP US History, AP Micro Economics, AP Macro Economics, AP Government, Psychology, Sociology, PE, Computer, and Christian Leaders. He has coached Varsity baseball, JV Men’s basketball, Varsity Men’s basketball, and Varsity Women’s basketball. In 2009 he became the second Athletic Director in school history while obtaining his Master’s in Education Administration from Concordia University Texas. That same year, Mr. Doering helped start family groups. Family groups have entwined itself into the fabric of the school from “Sorting Day” to “Senior Blessing Day.” Each week the senior Christian Leaders lead in small group discussions on various topics that help encourage each other in faith and love. Mike accepted the call as Principal for CHS in March of 2018 and will serve on the leadership team with Executive Director Dr. Tom Cedel. Mike and his wife, Heidi, have celebrated 12 years of marriage. They love to travel and have been to 3 different countries and numerous states both for personal vacations and mission trips. They are members of Faith Lutheran in Georgetown, TX. He considers his greatest achievement at Concordia High School the privilege of seeing Christian Leaders develop and do amazing things in the world that Christ has given us.